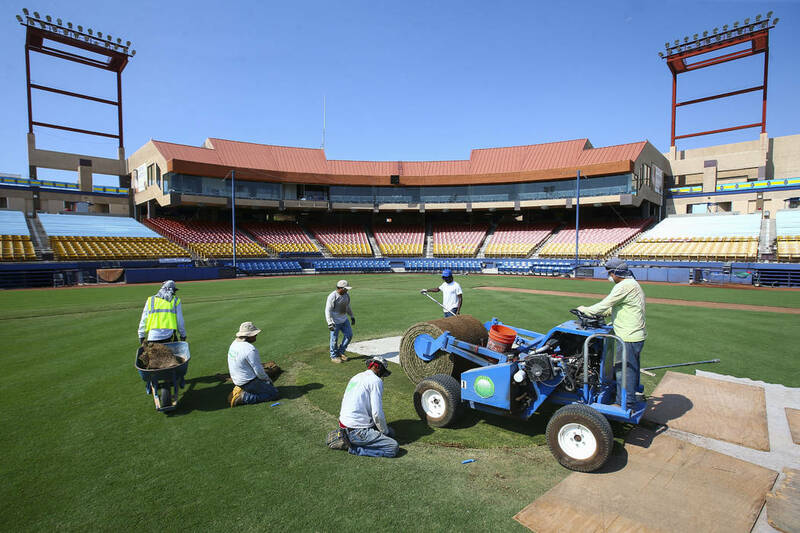 Sharing the stadium required 14 total changeovers, the last of which will come after the 51s’ season ends Sept. 3. 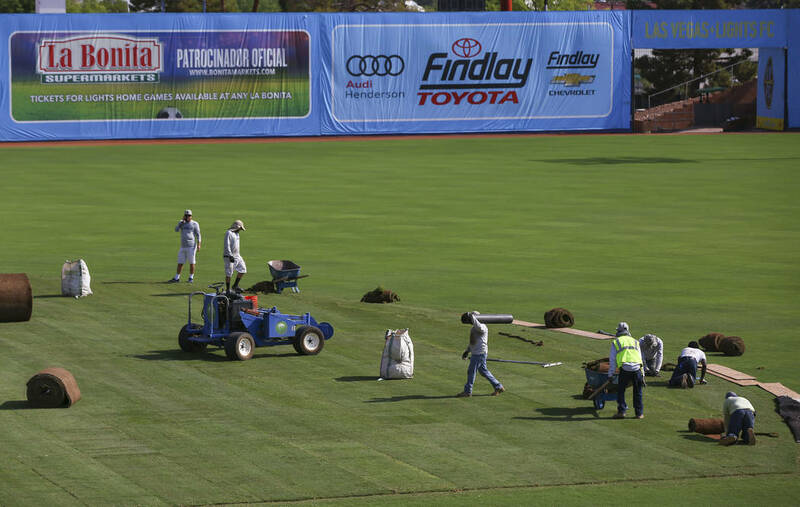 Four hours after the 51s closed their second-to-last homestand of the season Thursday night, a truck pulled up to Cashman Field. 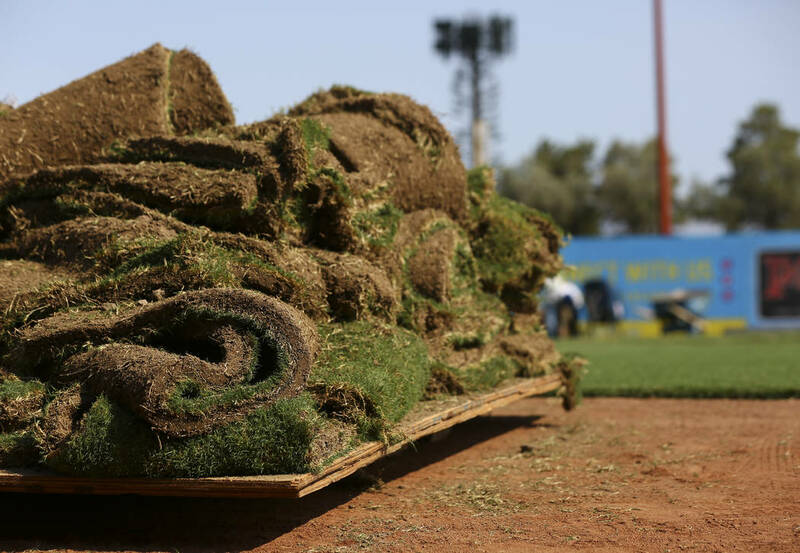 Its contents: Some of the 15,500 square feet of turf that needed to be laid down before the Lights FC game less than 48 hours later. Quickly converting the stadium from a baseball to a soccer venue and vice versa has been a challenge in the only season in which the teams are set to share a home. This season will see 14 changeovers, the last of which will come after the 51s’ season ends Sept. 3. No one will complain when the added work is in the past, but for a season, the teams coexisted without problems. A USL and a Pacific Coast League team sharing a stadium isn’t unique; it happens in Reno; Nashville, Tennessee; and Fresno, California. The changeovers in Las Vegas are on a larger scale, though, because Lashbrook wanted to remove three pitching mounds (one on the field, two in the bullpen) for each soccer match. 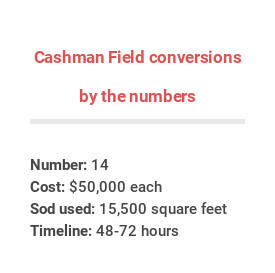 It was not necessary — the soccer field could have been farther back, in the outfield — but the owner said he wanted the action as close to the stands as possible for his team’s inaugural season. The Lights pay for each conversion, per their lease. The changeovers cost roughly $50,000 each, and the team put down a $50,000 deposit to cover any damage to the field. 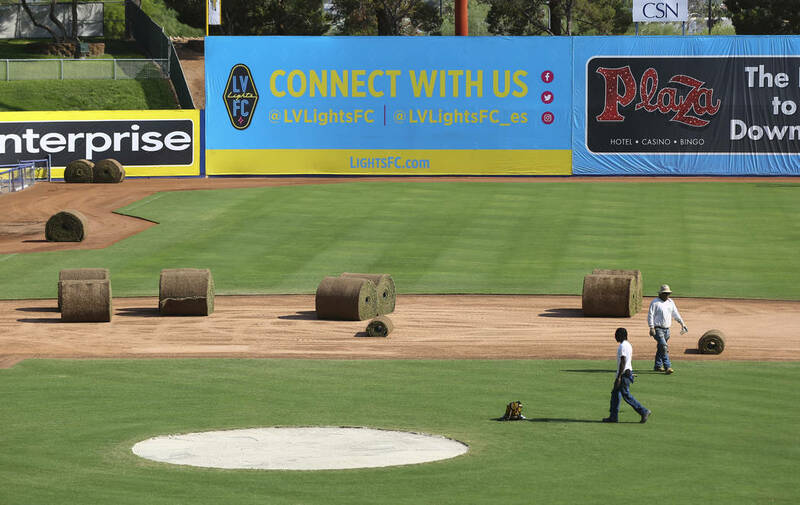 It has been an expensive arrangement for the Lights, but it ends with the 51s moving into Las Vegas Ballpark in Summerlin for the 2019 season. 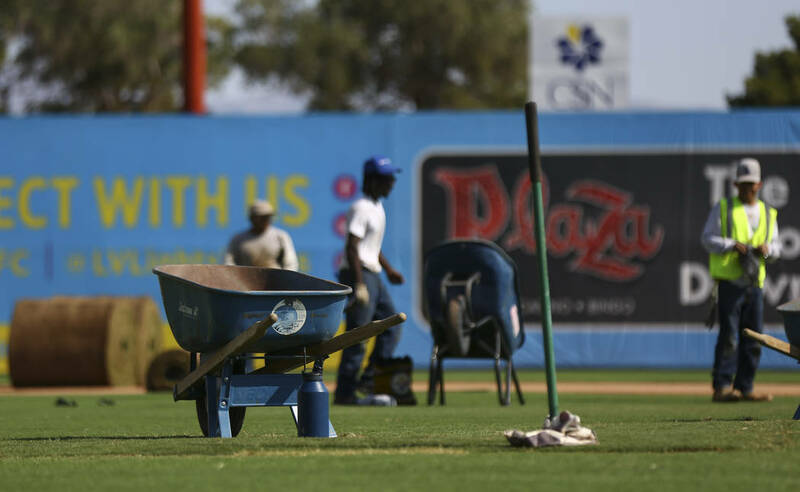 “For one year, we’re going to do just fine,” 51s President Don Logan said. Conversions happen quickly, as evidenced by the overnight delivery of the turf early Friday morning. Last week, a World Sports Solutions International crew faced one of the tightest turnarounds of the season. 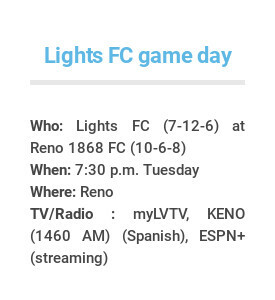 Typically, the 51s’ last home game the week before a Lights Saturday home match is on a Tuesday or Wednesday. 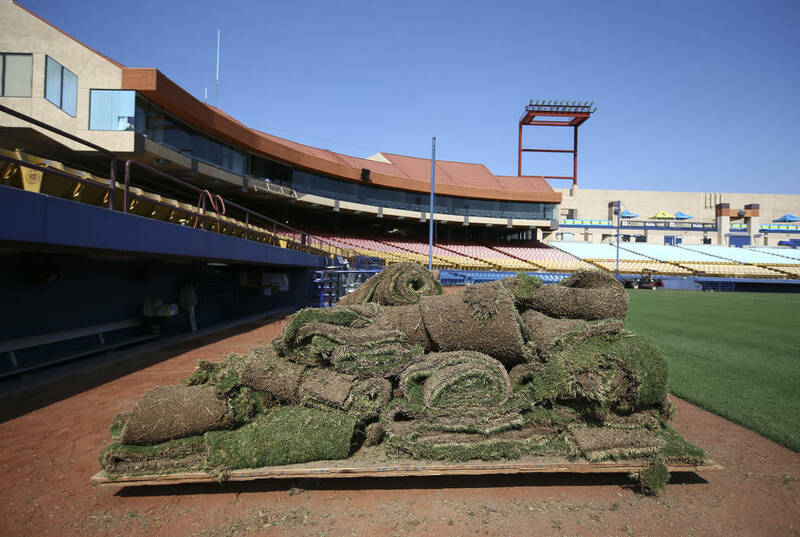 But last week, a crew worked from 11 p.m. Thursday to 6 a.m. Friday after a 51s game to get the mounds removed and prepare the Hybrid Bermuda 419 turf from Pahrump for installation. Once its work was done, a different group took over, putting the turf on the field from 6 a.m. to 2 p.m. 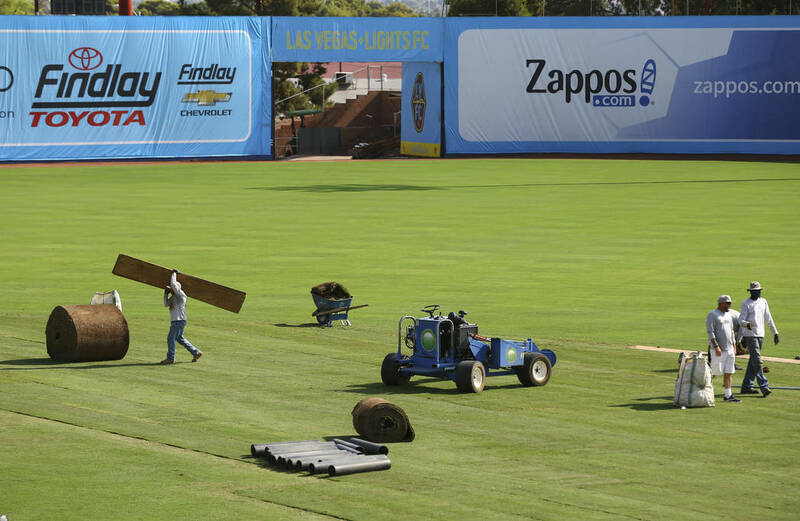 The work takes up to 12 people for the turf, and three to four more to put up the Lights’ promotional signs and posters throughout the stadium. It takes six hours to get the team’s sponsored posters up on the outfield wall and two to three hours to deck out the front side of the stadium. 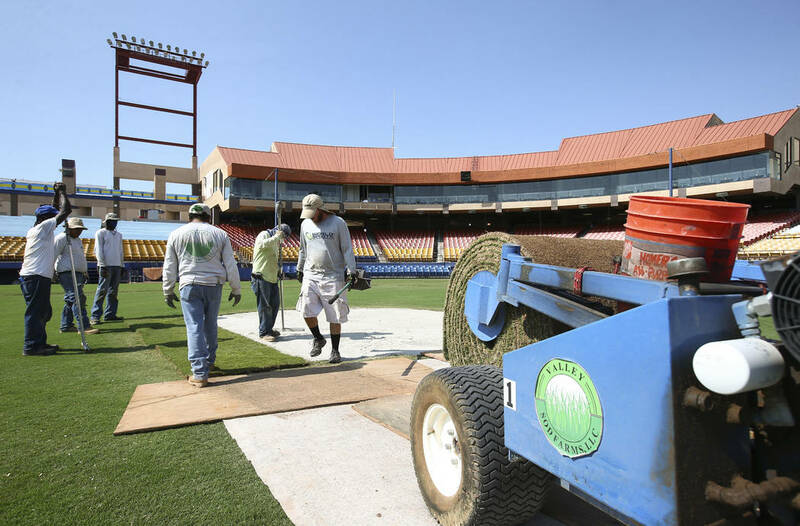 Once the turf was placed Friday afternoon, World Sports Solutions International surveyed it before painting lines on the field. Even with a time crunch, going from baseball to soccer is easier than vice versa. 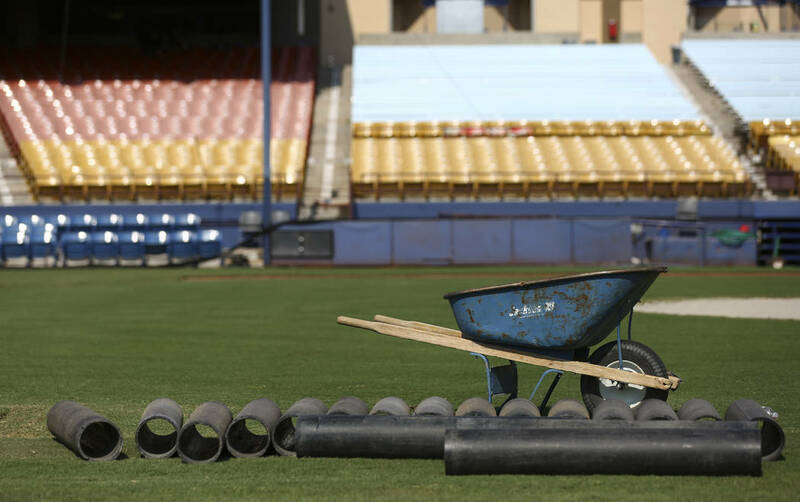 Tearing down the pitching mounds is one thing, but building them back up to the specifications of Minor League Baseball — which go to 1/32nd of an inch — is another. The teardown starts within an hour of a Lights game ending. The team’s signs and posters are taken down quickly, and the netting behind home plate goes back up. 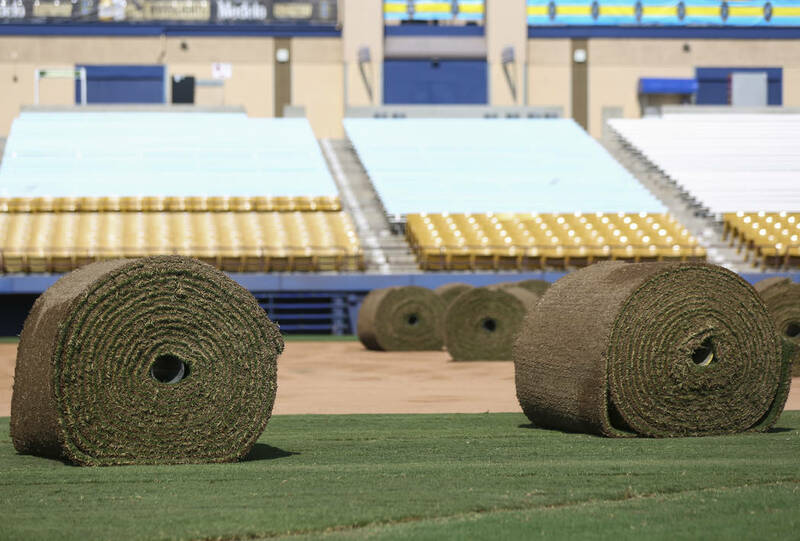 Late Saturday night or early Sunday morning, the turf comes out so work on the mounds can begin around 7 a.m. Sunday. It takes a day and a half for the three mounds to be rebuilt to the point where landscaping company BrightView can inspect them and ensure they’re ready. 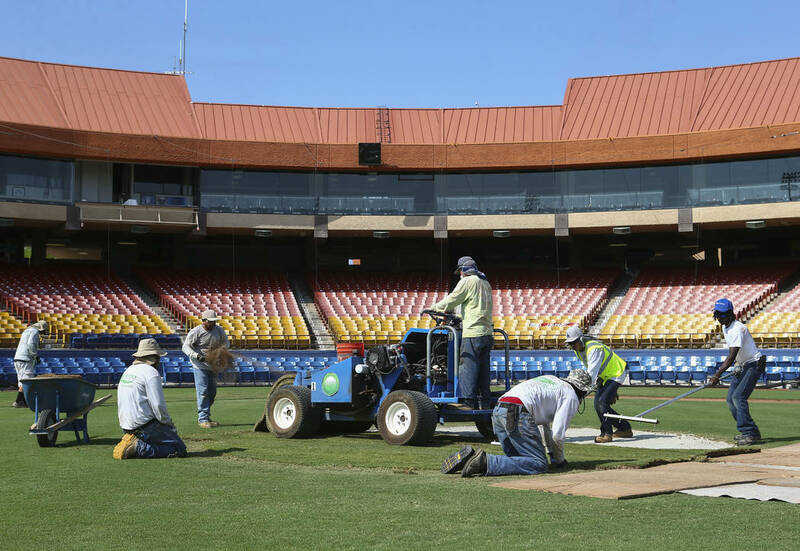 The goal is to have things finished by late Monday so there’s plenty of time before a Tuesday 51s game. The conversions haven’t always gone exactly to plan. 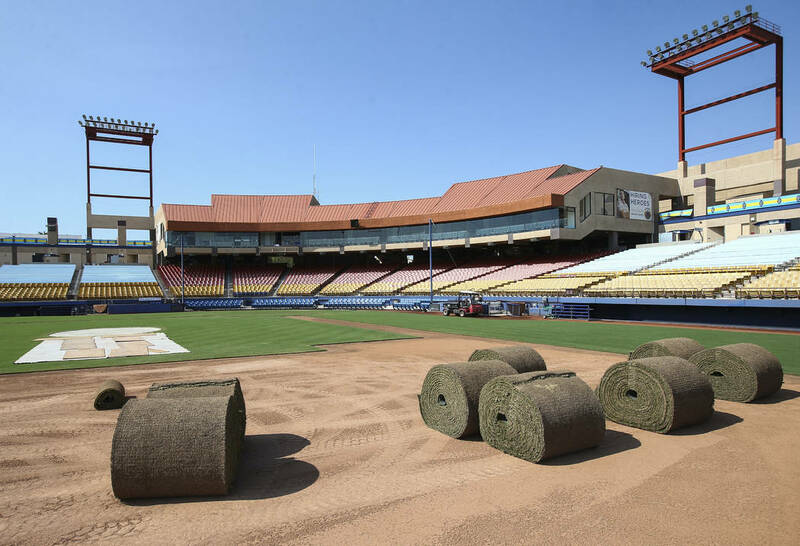 The infield has played faster for baseball this season, and the soccer turf occasionally died in the heat while being installed. Early on, the field had a few uneven patches. Things have improved since, and there’s just one conversion left: from baseball to soccer after the 51s’ final home game. Then, Cashman Field will be only a soccer venue. “I’m not going to miss it, that’s for sure,” Roper said of the changeovers. Contact Ben Gotz at bgotz @reviewjournal.com. Follow @BenSGotz on Twitter. Betsy Helfand at bhelfand @reviewjournal.com. Follow @BetsyHelfand on Twitter.